Outdoor lighting, perfected. Lighthouse Outdoor Lighting of Baltimore is your premier outdoor lighting professional. 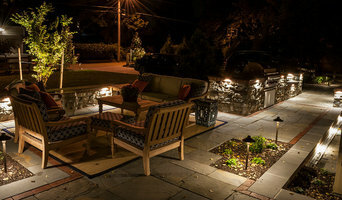 We specialize in landscape lighting and architectural lighting with attention to detail. We install only high quality lighting products made of cooper, brass, and stainless steel. Outdoor lighting means many things to many people. Some view it as a treasured feature of their home and living. For those who enjoy it, we strive to deliver perfection. Well-designed landscape lighting will unify the relationship between your house and the landscape that surrounds it. It will enhance your outdoor living environment and extend the hours of enjoyment you and your family spend outdoors. We do more than just provide quality outdoor lighting products. Our experienced professionals will work with you to design a custom outdoor lighting system or landscape lighting that meets your needs and style, as well as provides safety and security to your home. Whether you are looking to beautifully illuminate a driveway, garage, or pool area, we can help you transform your outdoor living space into your dream oasis. We use environmentally-friendly LED technology that offers beautiful light coupled with energy savings and longevity of your installation. Custom design, meticulous installation, and premium client care set us apart. At Landscape Lighting Designers Plus we offer a wide variety of outdoor lighting services, and we incorporate artistry into every project we do. The goal of each of our exterior house lighting designs and landscape lighting systems is to accentuate the home and all its interconnecting features—including gazebos, decks, walkways, driveways, steps, gardens, and more! 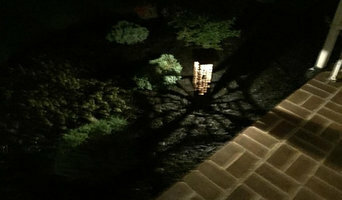 Lighting your landscape means more than just supplying and installing lights. 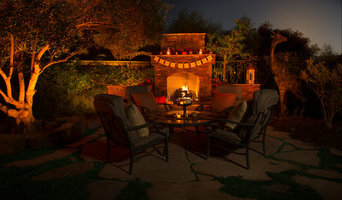 We believe that properly lighting your landscape is a creative process unique to each home. Each landscape has its own opportunities, and we specialize in creating creative lighting solutions that shape experiences. Specializing in low-voltage lighting means creating a "Wow!" experience is obtainable for each landscape. Focusing on the fine details of each landscape so that each lighting solution fits like a custom-tailored suit. To speak with an experienced Creative Lighting Designer, call now! Real Computer Solutions (RCS) brings professional personal computer and home networking services to residential customers without the professional fees. Ranging from basic maintenance, upgrades, and malicious software removal to new PCs and home network installs, RCS can provide the services and solutions you may need! Call the experts at Real Computer Solutions at (301) 330-7325 to find out how we can help you with all of your IT needs! We are a professional lighting design company that specializes in custom residential and commercial landscape lighting designs and installations in the Northern Virginia and Washington Metropolitan area. Our client-focused business is driven by our passion for the landscape lighting industry, and the desire to delight our customers with consistent high-quality service. The Association of Outdoor Lighting Professionals (AOLP) has certified Bill Smith, Owner of WEStar Illumination, as a Certified Outdoor Lighting Designer (COLD). Smith is also an AOLP Certified Low Voltage Lighting Technician (CLVLT) and was the first and only landscape lighting designer to achieve this certification in the Northern Virginia and Washington, DC Metropolitan area. We invite you to visit our website to learn more about our company. You’ll find that our business is built on honesty, integrity, loyalty and respect. We are known for our professionalism and commitment to high quality service. We look forward to designing and installing your next project and fulfilling all of your landscape lighting design needs. Transform your home or business into a winter wonderland from the comfort of your desk or easy chair! Enjoy a stress-free Christmas display that's sure to become the talk of your town! Beltway Audio Visual Systems, established in 2005, provides design, installation, and service of audio visual systems as well as security, lighting, shading, central vac, and access control throughout Baltimore and the surrounding counties. We partner with many high quality manufacturers in the industry, so we can provide for all your equipment and service needs. Our clients range from builders and homeowners, to churches and businesses such as night clubs, restaurants, and more. Nite Lites ® has been beautifying homes and offices for over twenty years. Their experience and knowledge have made Nite Lites an undeniable leader in the field of outdoor lighting. By illuminating landscapes, Nite Lites has proven that you can add a whole new dimension to the client's property, a dimension that can make the landscape beautiful all four seasons of the year. In addition, Nite Lites is an award winning energy consultant able to reduce your commercial electric bills by 40% or more. Smart Home & TV Installs was established in early 2017 by two brothers who have been servicing the metropolitan area for 15 years. Before establishing and venturing out, they were providing professional services in a number of partnerships including Geek Squad and Best Buy. ITEC-I is an Audio Visual integrator company for residential and commercial spaces. ITEC-I leverages a solid 20 years experience in the Information Technology to plan, architect and deploy customer Audio Visual solutions for their customers. ITEC-I delivers end to end solutions to all areas of services: - Structure Wiring - Home Automation - Whole audio visual systems - Security Surveillance systems ITEC-I provides some of the best and most trusted brands in the industry. What services do Lutherville Timonium outdoor audio and visual system professionals provide? For the most part, people hire outdoor entertainment system providers for backyard installations. After all, pool parties and barbecues are much more fun when there is music to enjoy. How do they do it? Your Maryland outdoor custom audio system technician can work with your landscape designer or architect to install weather-resistant outdoor speakers, discreetly buried into your landscaping with no loss of sound. Here are some related professionals and vendors to complement the work of outdoor lighting & audio/visual systems: Landscape Architects & Landscape Designers, Landscape Contractors, Decks, Patios & Outdoor Enclosures, Siding & Exteriors. Home theaters are moving outdoors, too. Sports fans can grill without missing the game, and families can invite neighborhood friends over for movie nights. Special weatherized flat-screen TVs are coated to minimize glare. Imagine your Lutherville Timonium, MD backyard with a custom-designed outdoor theater system — complete with a large projection screen. It makes backyard entertaining easy. Find outdoor audio and visual system professionals on Houzz. 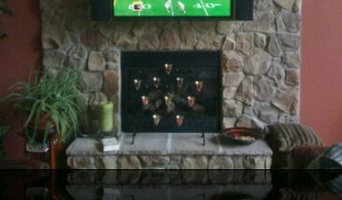 Look in Houzz’s Professionals section to find Lutherville Timonium, MD outdoor audio and visual system experts. Narrow your search to the nearest city or metro area for a list of nearby businesses. Get contact information, read reviews and look at completed Maryland custom outdoor sound system projects.